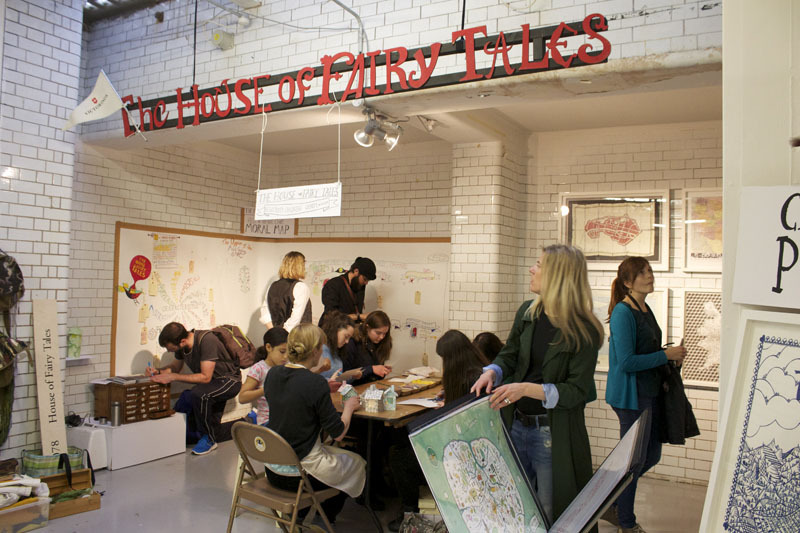 The House of Fairy Tales League of Tribes launched a new political manifesto with the help of visitors and artists at The Other Art Fair in London. 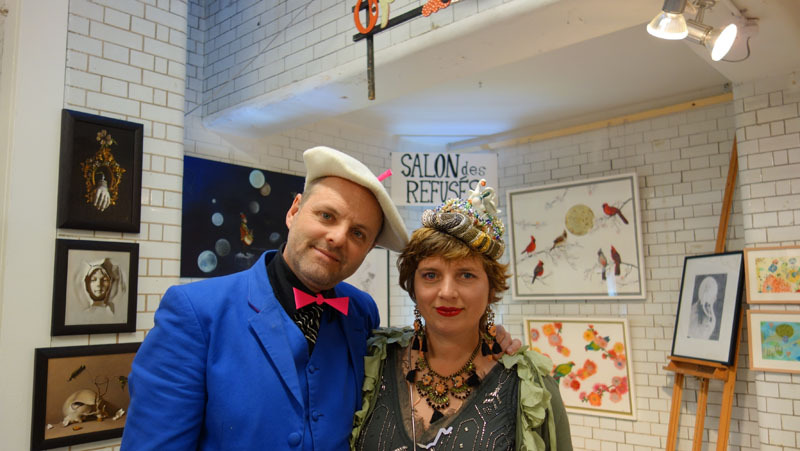 All who passed through the galleries at the fair were invited to take on the challenge of re-inventing politics to suit not just individuals but the wide unknown universe and magical realm. The Head Tailor from the League of Tribes brought the Coat of Conscious for all to see and been seen. 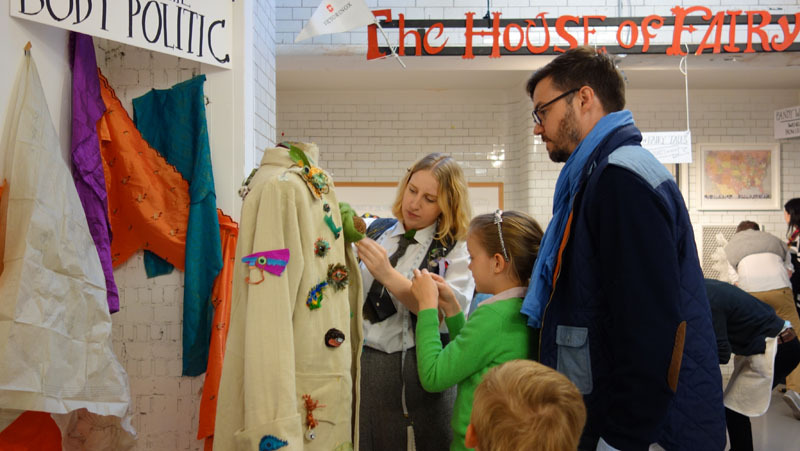 Everybody was invited to help design the coat by rummaging through the mountain of fabrics, buttons, beads and ribbons and making a eye. All the eyes on the Coat of Conscious help you make the right decision for the future by thinking of all the other eyes and people, beings, creatures that hold those eyes before yourself. All ages helped decorate and create the Coat of Conscious over the weekend, with each eye made so different from the next. 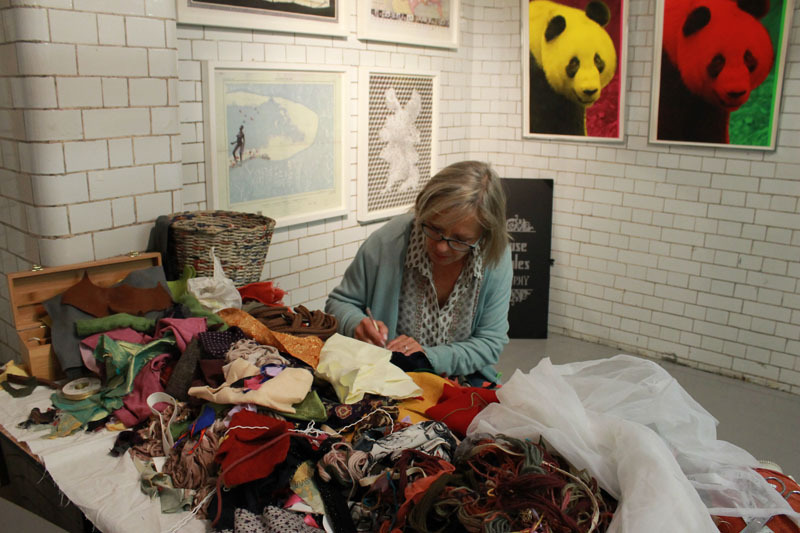 On Saturday there was a special HoFT Parliament Paper Houses workshop with artist Frances Barry. 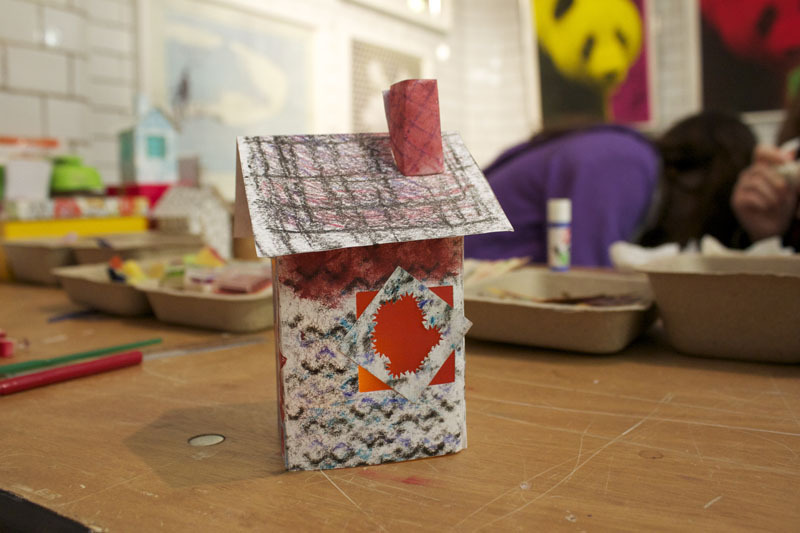 All young architects built their houses from scratch, pattern and paper cuttings. The houses symbolised the Council of Elders chambers to inspire the parliamentary thoughts. All the artworks for sale were raising money for The House of Fairy Tales art charity. These included a special limited edition print run by Gavin Turk’s latest fundraiser – Project Beard. Find out how to fund us here.